If there is anyone who enjoys Christmas, it must be grandparents who delight in seeing the children opening their gifts. No, it must quite likely be the parents wrapping gifts and hiding them under the beds and the Christmas tree. Or could the happiest persons be the teenagers concentrating in clothing, fashion, and going to party all night long. 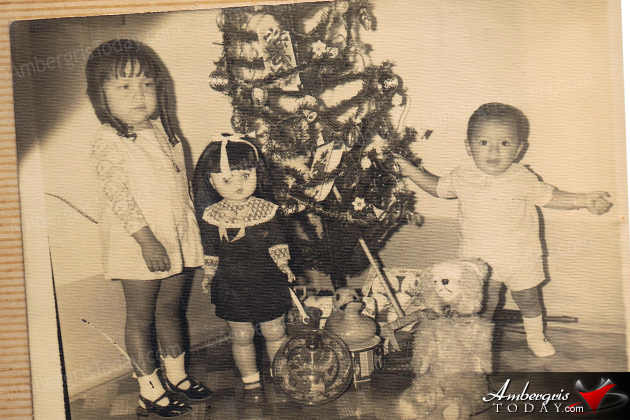 I am now certain that even as of many years ago in San Pedro the most thrilling moments of Christmas were experienced by children who patiently await the arrival of Santa Claus. And even though the Christmas tree was pretty pale the toys were always a thrill. Bigger was better as were the talking dolls, walking dolls, crying dolls, and even dolls who wet their pants or could wink their eyes. Ask Odilia Nuñez about her Walking doll. Or you can ask Mundo Nuñez about his huge top which could spin for two minutes and whistled a tune at the same time. A bag of 500 marbles also made a great Christmas gift as was a tea set something to boast. What about play stations? Sorry, not 25 Years Ago in San Pedro.